HSR Services provides a multitude of recycling and disposal solutions to suit your individual needs. Our services always start with a consultation. 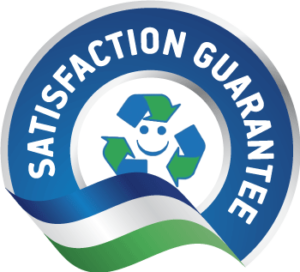 When you choose HSR Services as your recycler of choice, we will be constantly in touch with you and your waste. We will respond quickly to your requests and focus on environmental solutions. But most importantly we will get the job done. At HSR Services, the environment is number one! While promoting Zero Waste, we provide our customers & community with services to understand & responsibly manage their reusable & recyclable materials, ensuring a healthy & happy future. With our personally trained drivers and customer service representatives, we at HSR Services Strive to provide top notch service, through personalized solutions, on time pick-ups, and a friendly and personable outlook. We pay close attention to our customer’s waste management and often provide solutions which reduce their waste even further through process adjustments. We will react accordingly to your needs. If you need additional pick-ups or equipment, not a problem, just let us know and we will take care of it. If you feel that our pick-ups are too frequent, or infrequent, again, let us know and we will adjust. In return, we will also let you know when we feel that more or less pick-ups are needed, so you can make a sound business decision on pick-up frequency. If you have any questions about a particular type of material going into your garbage for landfill, simply contact our representatives and they will help you find an alternative solution. We are committed to being professional, consistent, up front, and open. At HSR Services, we take every thing we say we will take, and always ask you if there is anything else we can do. All of our drivers are in uniform so they are presentable when servicing your business. All of our employees are WCB insured so you don’t have to worry about risk of injury. We take full responsibility for the actions of our service representatives. If you have any concerns, you will be put directly in touch with one of our managers and they will help solve any problems you may have. Special Note: At HSR Services we in no way claim to perform the end processing and recycling of the material which we collect. We do however do minor processing such as baling, cutting and dismantling for our downstream processors. We will also let you know if a particular item will end-up going to landfill if all other options have been reviewed. Stan Kaminski, otherwise known as Happy Stan, started his journey into the world of recycling alongside his girlfriend Della. Together they collected newspapers from local hotels to raise money for the Gibson’s boys club. A few years later, they got married and had three children (Chris, Karla, and Jamie). Later on, two of their children (Jamie and Chris), also got into recycling by building a cart and collecting newspapers door to door to raise spending money. Stan later started his own janitorial business called, “All Canadian Janitorial,” where he provided janitorial services for households and businesses in the North Vancouver area. But instead of throwing out all the paper and cardboard from the companies he was cleaning, he decided to sell it to local recycling companies. Stan found this to be very rewarding, and in 1988 he gave All Canadian Janitorial to his partner Angela and opened up All Canadian Recycling Services with a different partner. Soon after opening, All Canadian Recycling was servicing print shops and real estate offices from Vancouver to Maple Ridge with a single one-ton cube truck. From there, Stan and his partner took on larger contracts such as Island Paper Mills and BC Rail. His workforce also increased, adding on two very dedicated employees, Stan’s two son’s Chris and Jamie. Stan later decided to sever the partnership but continued to provide recycling services under his new business name, “Happy Stan’s Recycling Services Ltd”. Happy Stan’s Recycling Services focused on large industrial corporations such as Island Paper Mills, later becoming Domtar Paper Mills, and Sonoco. His main business was, and still is the recycling of cardboard and cardboard tubes. However, in 2003, Stan was approached by the city of Port Coquitlam to process the residential recycling from their blue bag program. The city stated that their current service provider was unable to handle the material because of the plastic bags. Stan, unaware of this type of processing but still wanting to help, accepted the contract and began recycling for the City of Port Coquitlam. Soon after, the blue bag system was replaced by the state of the art single stream co-mingled process. In 2005, to help his father in this endeavor, Stan’s son Jamie, who has been working by his side since it began in 1988, took on the role as General Manger. Happy Stan’s took care of the city contract for another two years before changing its focus from a materials-oriented company to a service oriented company, providing information, and recycling solutions to businesses and households across the lower mainland. Since the beginning in 1988, Happy Stan’s has increased its material acceptance from strictly cardboard and paper to over 40 different commodities. Together, Stan, Jamie, and a team of dedicated friends and employees are working hard to create a one-stop recycling solution for households and businesses everywhere. In 2009 Happy Stan’s Recycling became a member of the Tire Stewardship of BC. Together with the Tire Stewardship of BC, we recycle used tires and save them from filling up the landfills by collecting them so they can be recycled into crumb rubber for use in synthetic turf fields and other innovative products. In 2011, we were happy to be acknowledged as one of the Top 100 Collectors in Canada for alkaline and rechargeable batteries by the Call2Recycle Stewardship. Annually we help save 1 million kilograms of batteries from leaking their harmful contents into our soil and ground water. Knowing that there is still much more that we can do to reduce the volume of waste going into our landfills, in 2012 Happy Stan’s partnered with Growing City to include office and warehouse composting to its service package. This very same year, we also added Styrofoam packaging to our list. And on June 21st 2012, Happy Stan’s Recycling Services started operating internationally under the name HSR Services. No need to worry; we still hold on to our fun-loving nature for the industry as well as the same amount (if not more!) of passion for the work that we do towards a sustainable future. Stan’s Mother Anastasia Kaminski was working with Happy Stan’s Recycling from 2003 until she passed away at the age of 82 in 2005. She was our oldest, most dedicated and cherished employee. She believed that everything has a place and that you can’t throw it away until you try to fix it first. She is missed dearly by all her family, friends and employees who knew her and had the chance to listen to her stories.